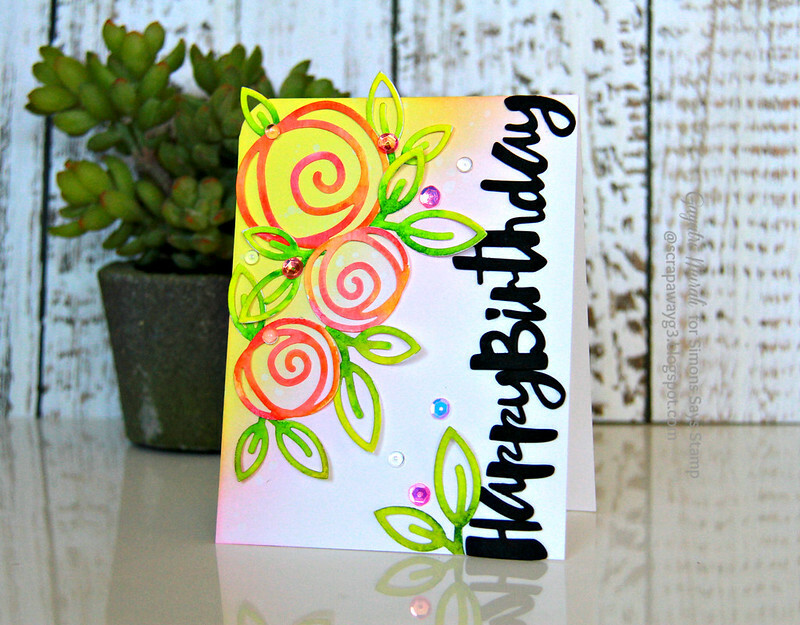 I am sharing a birthday card today with you using the new dies from Simon Says Stamp DieCember release. I love the Single Roses die. Just very beautiful. I paired this die with Happy Birthday die to make my card. I have used sponging and watercolour techniques on my card. I die cut the Single Roses die using watercolour paper and watercoloured the roses and leaves using Zig watercolour pens. Then I sponged Squeezed Lemonade and Spun Sugar on the card base on the top left corner. I adhered the roses and leaves using liquid glue to the middle of the roses and stalk end of the leaves. 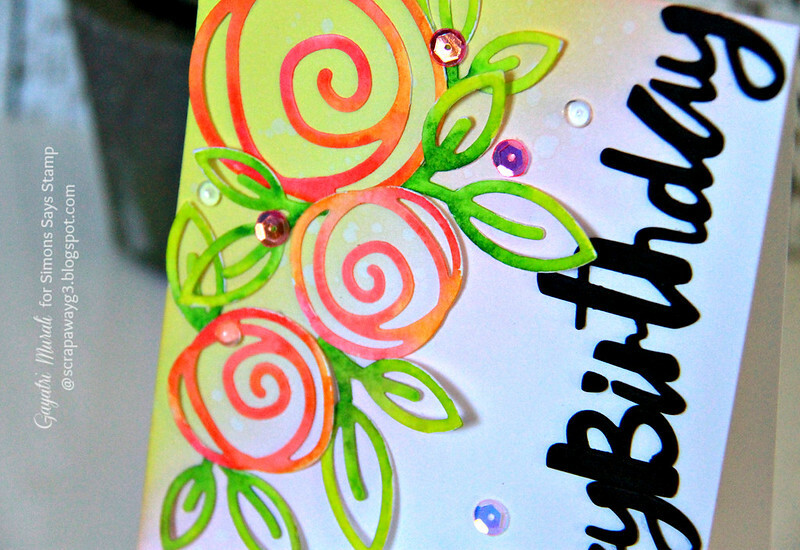 I love how the edges of the roses and ends of the leaves are raised on the card. 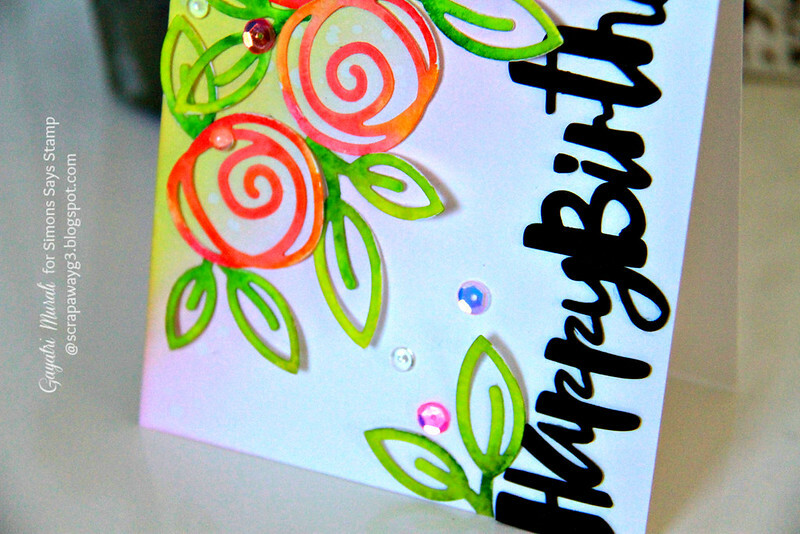 I die cut the Happy Birthday die using black cardstock three times, then stacked and glued them. I adhered the sentiment vertically on the right side of the card. I wanted the bold contrasting sentiment to be different than facing straight at you. Something out of the box. I love how it turned out. 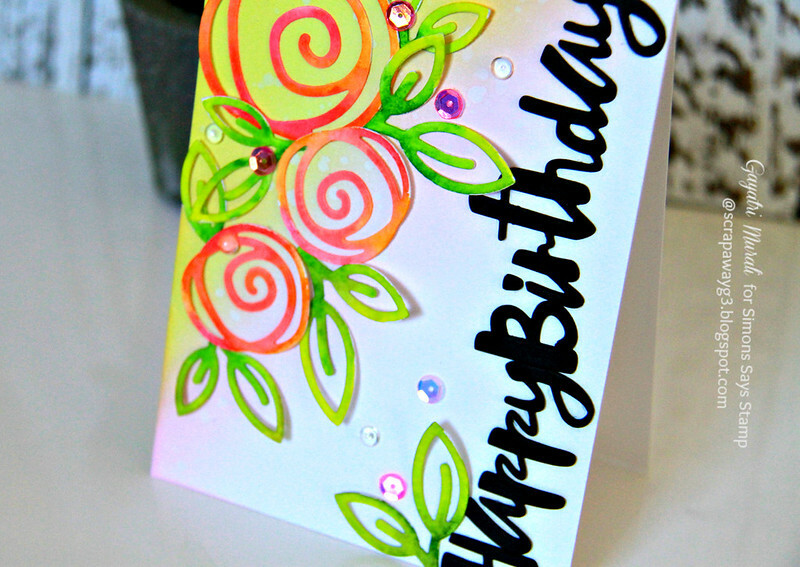 I then embellished my card with Clear Droplets, Ballerina Pink and Strawberry Burst Iridescent sequins from Pretty Pink Posh. Finally rounded the top left corner of the card. All the new DieCember goodies are available for purchase at Simon Says Stamp Store. You also get a free wafer thin die free with purchase this month. Check out the code below.